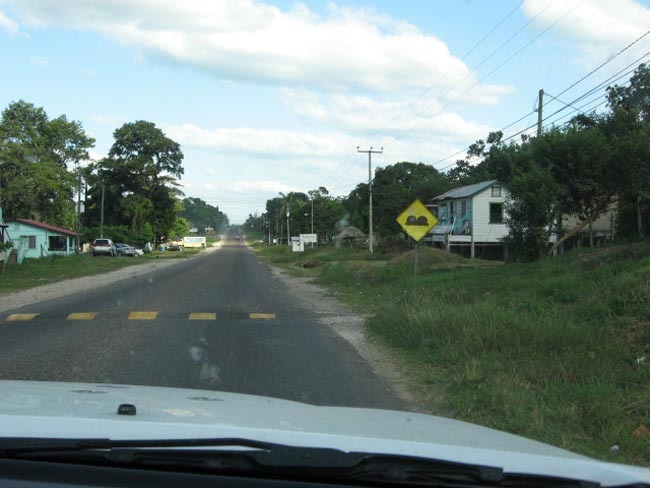 Western Highway to San Ignacio. See the speed bump... they are everywhere! Here we do not have stop lights, and rarely will you get stopped for speeding. But, If you hit one of these with any speed... your car will never be the same!